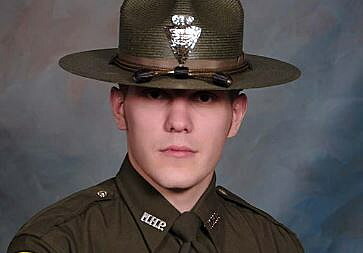 The Montana Highway Patrol trooper shot in the line of duty last month continues to receive medical treatment at University Hospital in Salt Lake City, the law enforcement agency said Tuesday. Tom Butler, chief of the Montana Highway Patrol, said Trooper Wade Palmer has shown indications that he recognizes certain people, though all of his interactions remain non-verbal. The extent of what Palmer understands remains unknown at this time, Butler said in a statement issued Tuesday morning. Palmer was shot in the neck, face, and head on March 15 after locating the suspect involved in a Missoula shooting that injured two and killed one. He was initially transported to St. Patrick Hospital in Missoula in critical condition and later flown to Salt Lake City. The Montana Department of Justice and Highway Patrol have been candid over the last month when updating Palmer’s condition. The trooper has received widespread support as communities across the West rally for his recovery. Palmer was shot while still in his patrol car near the Evaro Bar by Johnathan Bertsch, who faces one count of deliberate homicide and three counts of attempted deliberate homicide in connection with the shootings in Missoula and Evaro. The Montana Highway Patrol has created a webpage with information about the Palmer shooting. The page includes information on Palmer’s condition, a list of fundraisers, and a timeline of the events that occurred on March 15. Palmer is a graduate of Missoula Sentinel High School. He and his family live in Stevensville.